Telugu Desam Party (TDP) West Godavari leader and prominent industrialist Raghurama Krishnam Raju joined the YSR Congress Party today. Raghurama joined the opposition YSRCP in the presence of party chief YS Jagan and other leaders. After formally donning the YSRCP stole, Raghurama Krishnam Raju told the media that only YS Jagan was capable of fulfilling the promises made during the bifurcation period. 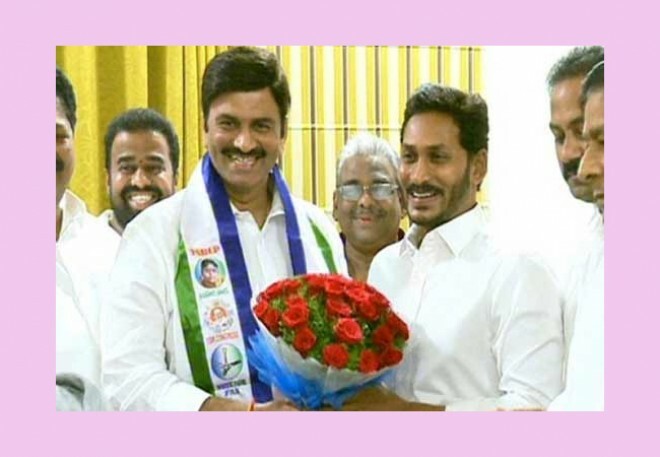 The former TDP leader also confessed that he was a great fan of late Dr YS Rajasekhara Reddy and that YS Jagan was his close friend. Raju also told the media that he wishes to see party president YS Jagan become the next Chief Minister of Andhra Pradesh.